MM's second proposition supports their first proposition. Since the benefits of lower cost debt are offset by the increased cost of equity, the relative amount of debt versus equity in the firm's capital structure does not affect the overall value of the firm. LOS 29.i: Discuss the effect of taxes on the MM propositions, the cost of capital, and the value of a company. Tax shield provided by debt. Removing MM's assumption that there are no taxes changes the result of their propositions regarding capital structure irrelevance. Under the tax code of most countries, interest payments are a pre-tax expense and are therefore tax deductible, while dividends are paid on an after-tax basis. The differential tax treatment encourages firms to use debt financing because debt provides a tax shield that adds to the value of the company. The tax shield is equal to the marginal tax rate times the amount of debt in the capital structure. In other words, the value of a levered firm is equal to the value of an unlevered firm plus the tax shield. If we maintain MM's other assumptions (i.e., no cost of bankruptcy), the value of the company increases with increasing levels of debt, and the optimal capital structure is 100% debt. Figure 5 shows that the tax shield provided by debt causes the WACC to decline as leverage increases. The value of the firm is maximized at the point where the WACC is minimized, which is 100% debt. LOS 29.j: Identify and explain the costs of financial distress, the agency costs and net agency costs of equity, the costs of asymmetric information, and their relation to a company's optimal capital structure. • Costs of financial distress and bankruptcy can be direct or indirect. Direct costs of financial distress include the cash expenses associated with the bankruptcy, such as legal fees and administrative fees. Indirect costs include foregone investment opportunities and the costs that result from losing the trust of customers, creditors, suppliers, and employees. • Probability of financial distress is related to the firms use of operating and financial leverage. In general, higher amounts of leverage result in a higher probability of financial distress. Other factors to consider include the quality of a firm's management and the company's corporate governance structure; lower quality management and corporate governance lead to a higher probability of financial distress. Professor's Note: Recall that a company's degree of operating leverage and degree of financial leverage have a multiplicative effect when determining a company's degree of total leverage (DOL x DFL = DTL). This means that the probability of financial distress for a company is affected by the interaction of the company's operating risk and financial risk. In addition, for more information on corporate governance, see the previous topic review in this study session. Higher expected costs of financial distress tend to discourage companies from using large amounts of debt in their capital structure, all else equal. • Monitoring costs are the costs associated with supervising management and include the expenses associated with making reports to shareholders and paying the board of directors. Note that strong corporate governance systems will reduce monitoring costs. • Bonding costs are assumed by management to assure shareholders that the managers are working in the shareholders' best interest. Examples of bonding costs include the premiums for insurance to guarantee performance, and implicit costs associated with non-compete agreements. • Residual losses may occur even with adequate monitoring and bonding provisions because such provisions do not provide a perfect guarantee. According to agency theory, the use of debt forces managers to be disciplined with regard to how they spend cash because they have less free cash flow to use for their own benefit. It follows that greater amounts of financial leverage tend to reduce agency costs. Professor's Note: Agency relationships are discussed more in depth in the Corporate Governance topic review in this Study Session. Costs of asymmetric information refer to costs resulting from the fact that managers typically have more information about a company's prospects and future performance than owners or creditors. Firms with complex products or little transparency in financial statements tend to have higher costs of asymmetric information, which results in higher required returns on debt and equity capital. Since shareholders and creditors are aware that the asymmetric information problems exist, these investors will look for management behavior that "signals" what knowledge management may have. Specifically, management's choice of debt or equity financing may provide a signal regarding management's opinion of the firm's future prospects. • Taking on the commitment to make fixed interest payments through debt financing sends a signal that management has confidence in the firm's ability to make these payments in the furure. ♦ Issuing equity is typically viewed as a negative signal that managers believe a firm's stock is overvalued. LOS 29.k: Explain and diagram the static trade-off theory of the optimal capital structure. The static trade-off theory seeks to balance the costs of financial distress with the tax shield benefits from using debt. Under the static trade-off theory, there is an optimal capital structure that has an optimal proportion of debt. If we remove the assumption that there are no costs of financial distress, there comes a point where the additional value added from the debt tax shield is exceeded by the value reducing costs of financial distress from the additional borrowing. 1 his point represents the optimal capital structure for a firm where the WACC is minimized and the value of the firm is maximized. Figure 6 shows that the after-tax cost of debt has an upward slope due to rhe increasing cosrs of financial distress that come with additional leverage. As the cost of debt increases, the cost of equity also increases since some of the costs of financial distress are effectively borne by equityholders. The optimal proportion of debt is reached at the point when the marginal benefit provided by the tax shield of taking on additional debt is equal to the marginal costs of financial distress incurred from the additional debt. This point also represents the firms optimal capital structure because it is the point that minimizes the firm's WACC, and therefore maximizes rhe value of the firm. 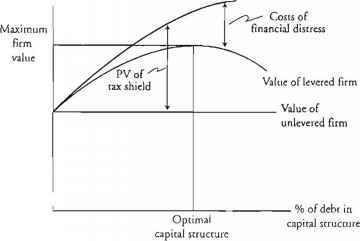 Figure 7 illustrates the theory as the tradeoff between firm value and capital structure. Note that every firm will have a different optimal capital structure rhat depends on each firm's operating risk, sales risk, rax situation, corporate governance, industry influences, and other factors. LOS 29-1: Compare the implications of the MM propositions, the pecking order theory of capital structure, and the static trade-off theory of capital structure. MM's propositions with no taxes follow a restrictive set of assumptions in that there are no taxes and no costs associated with financial distress. MM's first proposition says that the capital structure of a company is irrelevant because the value of the company is determined by the discounted present value of its operating earnings. MM's second proposition srates that increasing the use of cheaper debt financing will increase the firm's cost of equity, resulting in a zero net change in the firm's WACC. The implication for managers' decisions regarding capital structure under both propositions is that capital structure is irrelevant. MM's propositions with taxes says that the tax shield provided by interest expense makes borrowing valuable, and the value of the firm is maximized, and the WACC is minimized, at 100% debt. Pecking order theory is related to the "signals" management sends to investors through its financing choices. According to pecking order theory, managers prefer to make financing choices that are least likely to send signals to investors. Financing choices under pecking order theory follow a hierarchy based on visibility to investors with internally generated capital being the most preferred, debt being the next best choice, and external equity being the least preferred financing option. Therefore the pecking order theory predicts that the capital structure is a by-product of the individual financing decisions. Static trade-off theory recognizes that there are tax benefits associated with issuing debt because interest expense is tax deductible, but increasing the use of debt also increases the costs of financial distress. At some point, the costs of financial distress will exceed the tax benefits of debt. Managers following the static trade-off approach will seek to balance the benefits of debt with the costs of financial distress and identify an optimal capital structure. LOS 29.m: Explain the target capital structure and why actual capital structure may fluctuate around the target. The target capital structure is the structure that the firm uses over time when making decisions about how to raise additional capital. Management's use of a target capital structure reflects the knowledge that the firm has an optimal capital structure. For managers trying to maximize the value of the firm, the target capital structure will be the same as the optimal capital structure. • Management may choose to exploit opportunities in a specific financing source. For example, a temporary rise in the firm's stock price may create a good opportunity to issue additional equity, which would result in a higher percentage of equity than the target. • Market value fluctuations. Changes in stock and bond markets will cause fluctuations in the firm's stock and bond prices. Since capital structure weights are determined by market values, market fluctuations may cause the firm's actual capital structure to vary from the target. LOS 29.n: Review the role of debt ratings in capital structure policy. Debt ratings from ratings agencies such as Standard and Poor's and Moody's reflect the creditworthiness of a company's debt. The agencies perform an extensive analysis of a company's ability to make interest and principal payments and assign a rating based on the bond's default risk. Lower debt ratings denote higher levels of default risk for both shareholders and bondholders, who in turn demand higher returns on their capital. Professor's Note: See Study Session 14 for more information on bond ratings and default risk. Since the cost of capital is tied to debt ratings, many managers have goals for maintaining certain minimum debt ratings when determining their capita! structure policies. Managers prefer to have the highest rating possible because higher ratings mean cheaper financing costs. If a bond rating drops from investment grade to speculative grade, the cost of debt increases considerably. Historically, the difference in yield between a AAA-rated bond and a BBB-rated bond (the highest and lowest investment grade categories) has averaged 100 basis points, although this spread can be higher or lower depending on economic conditions and investor willingness to take on risk. The rating categories for Moody's and Standard and Poor's are shown in Figure 8. 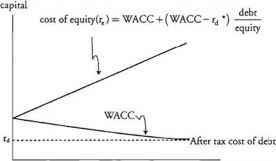 How to minimize the WACC? 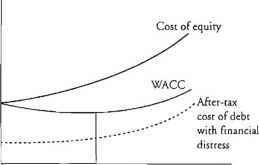 Can cost of debt exceed cost of equity wacc diagram? What does it mean when WACC is higher for target market value? How to compare capital structure based on mm theory? 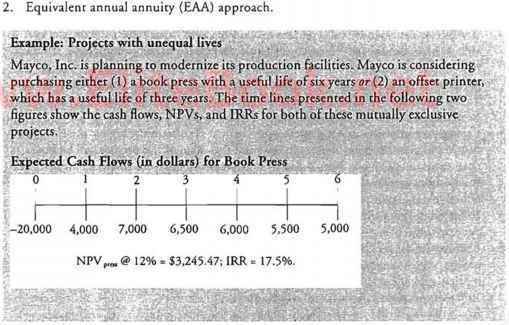 How to go from wacc formula to mm proposition ii? What cause wacc to lower? Why might market conditions cause a firm’s actual capital structure to vary from its target level? Why might market conditions cause a firms actual capital structure to vary from its target level? How to calculate pecking order hypothesis? What a low wacc means for a large firm? How does debt change WACC and what are cheaper forms of debt that a firm might use? What companies use Peckingorder Theory of Capital Structureure?